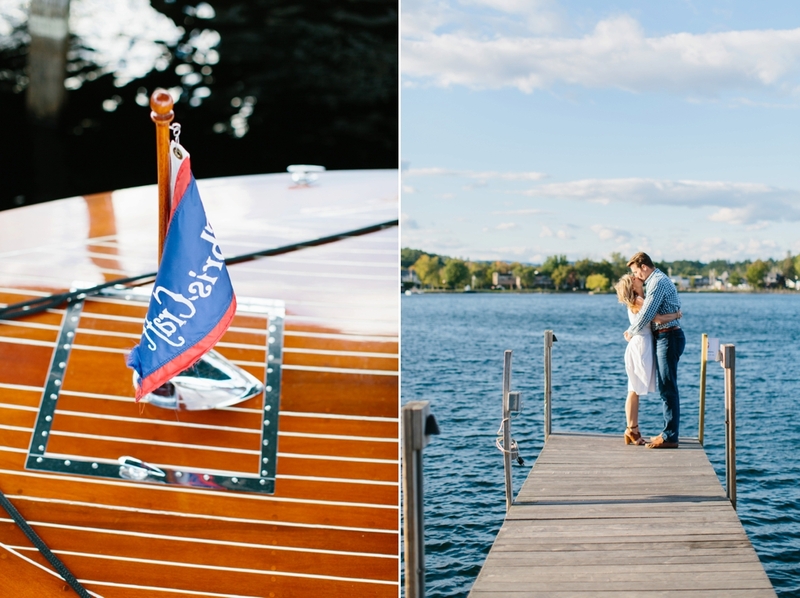 Whenever I get to travel for an engagement session to explore a place that is super meaningful to my couple, it just makes me so happy! 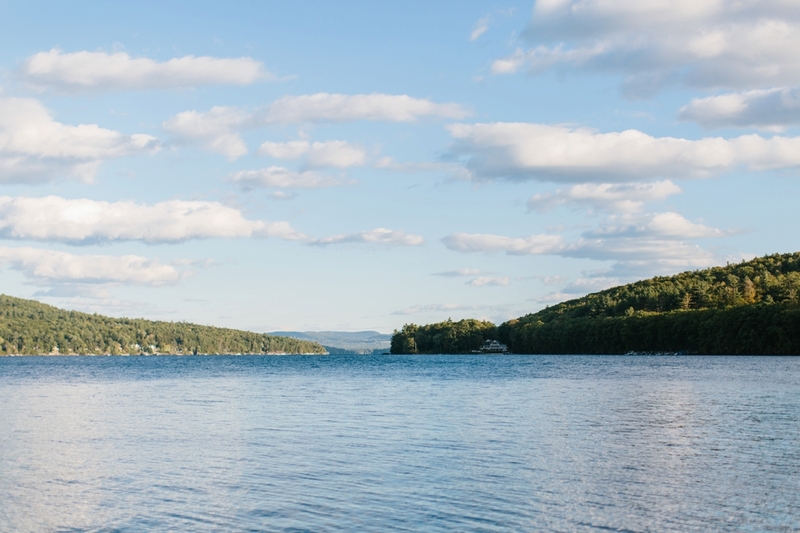 Especially when that place is one of my favorite places EVER! 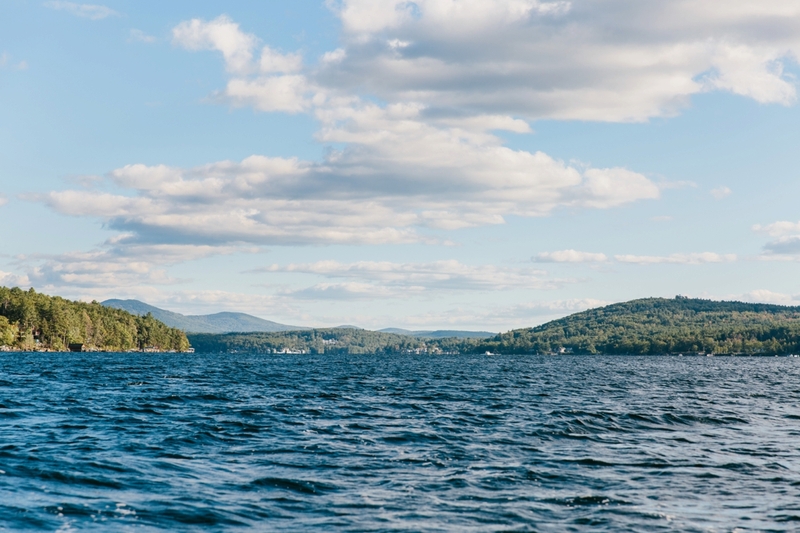 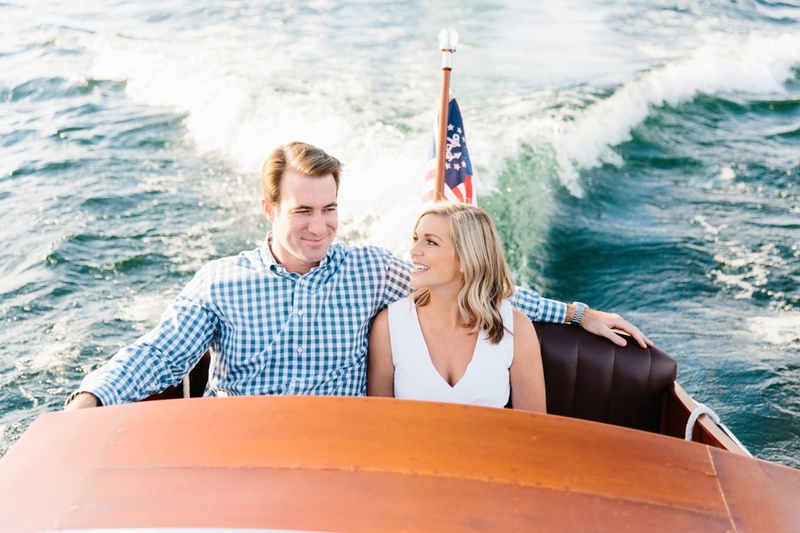 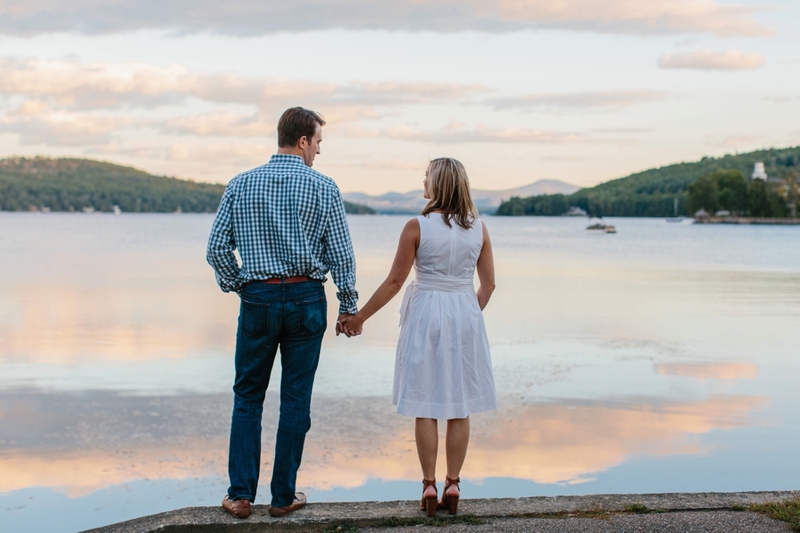 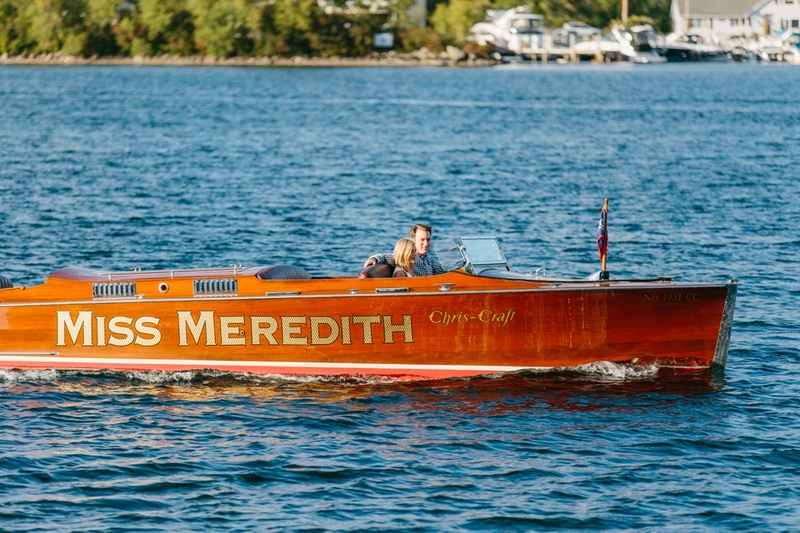 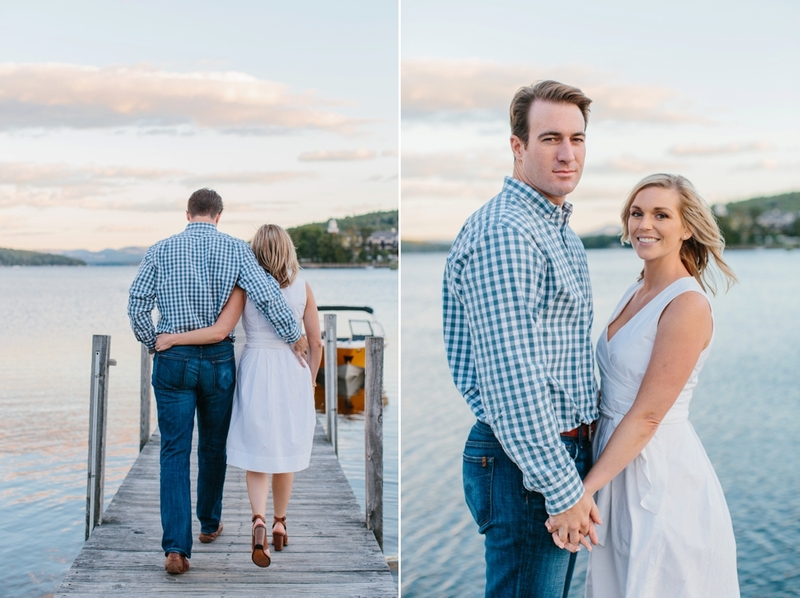 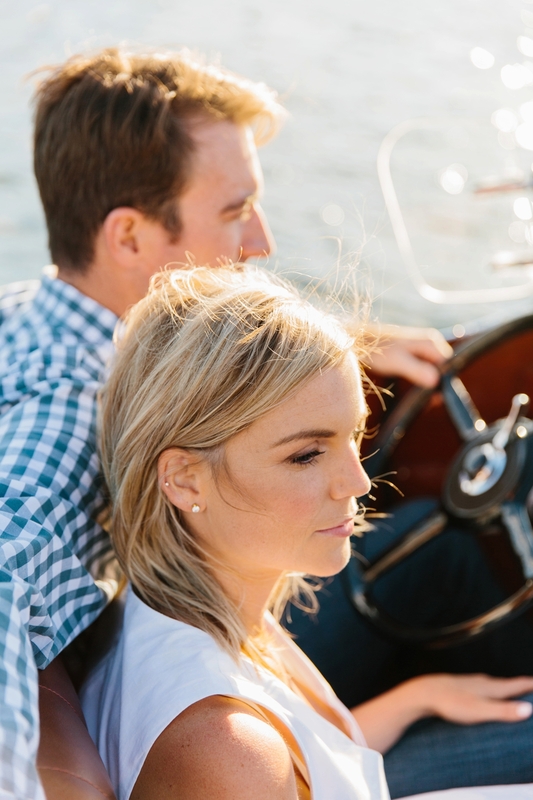 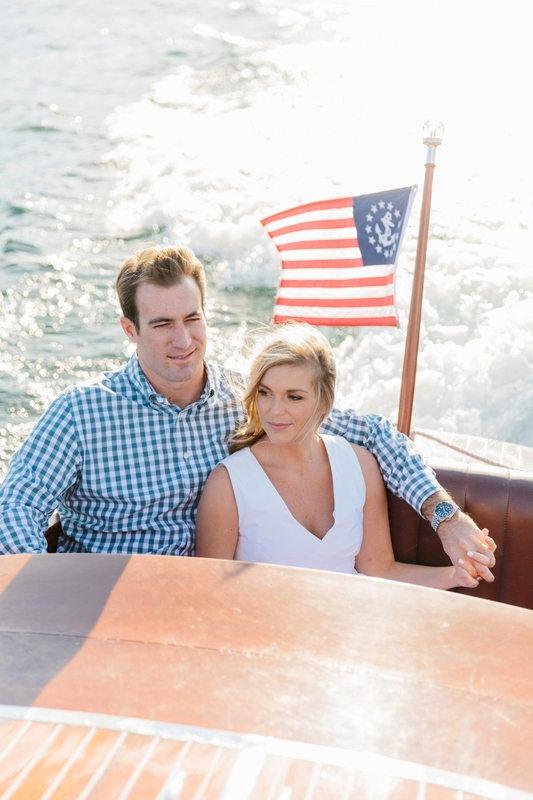 Jenna and Chris have lots of little ties to the beautiful Lake town of Meredith, NH. 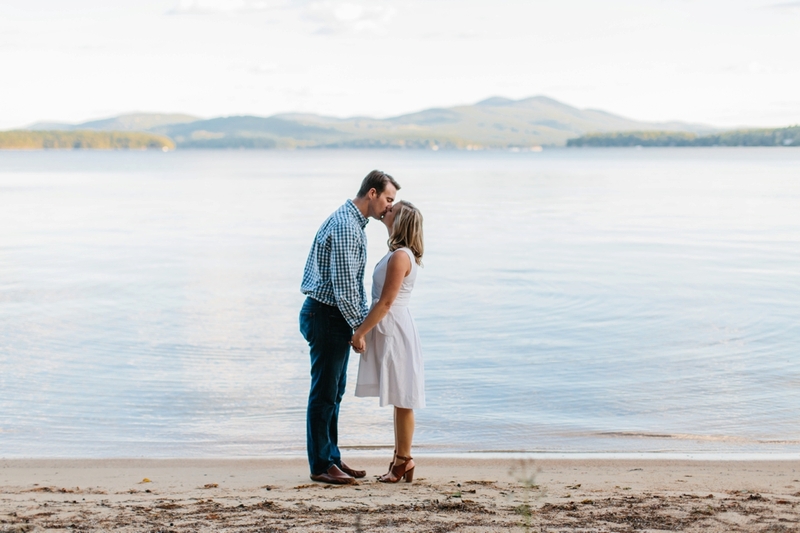 Right at the foot of Gunstock Mountain and on the shores of Lake Winnipesaukee is the stunning town of Meredith. 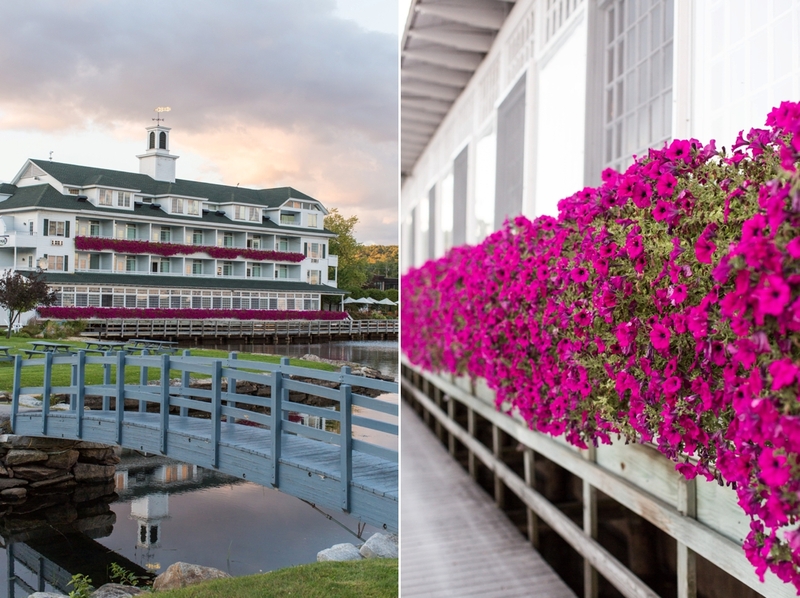 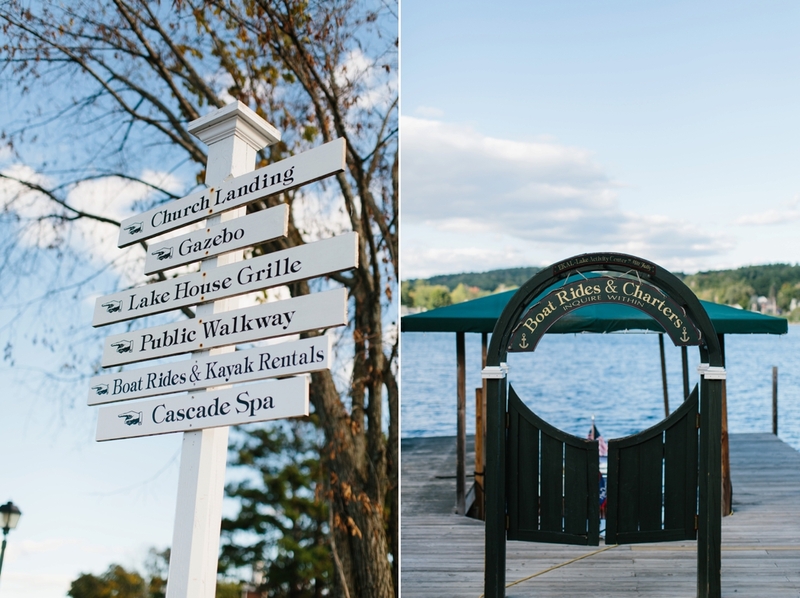 Filled with docks, flowers, and adorable restaurants, Meredith is a little gem in the lakes region. 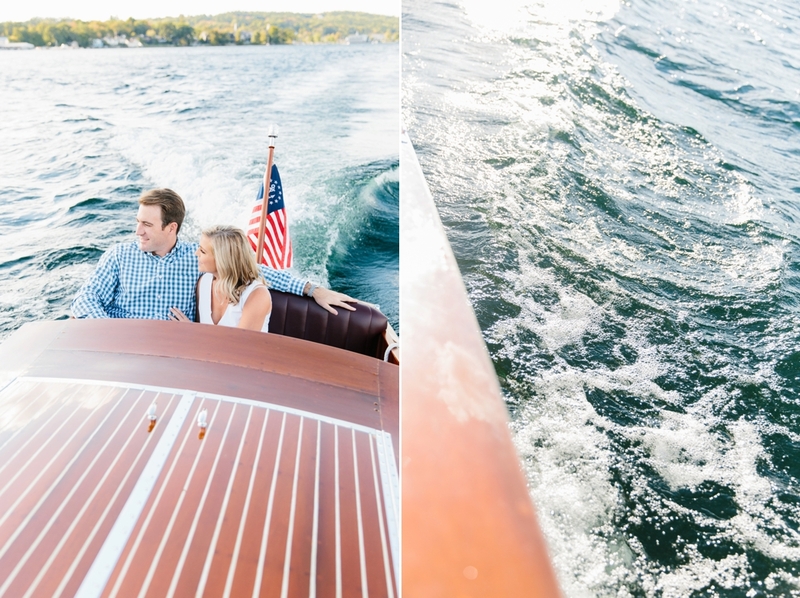 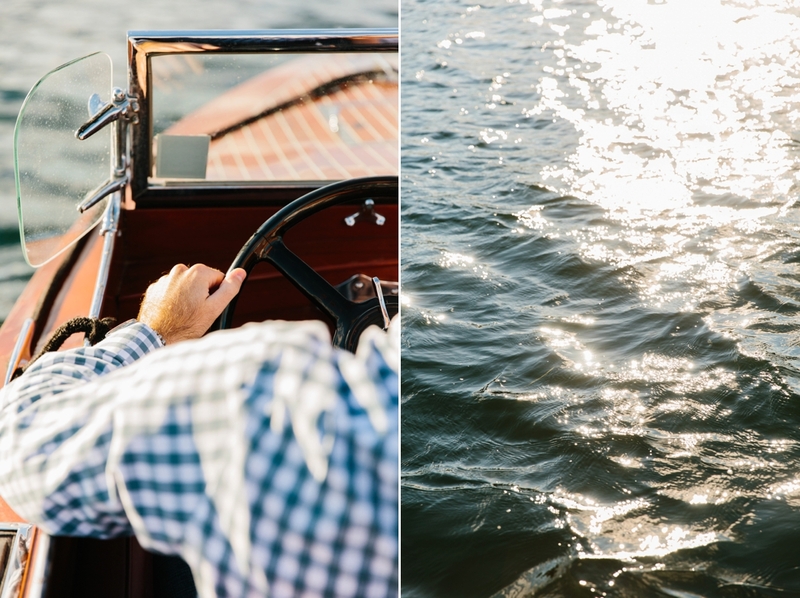 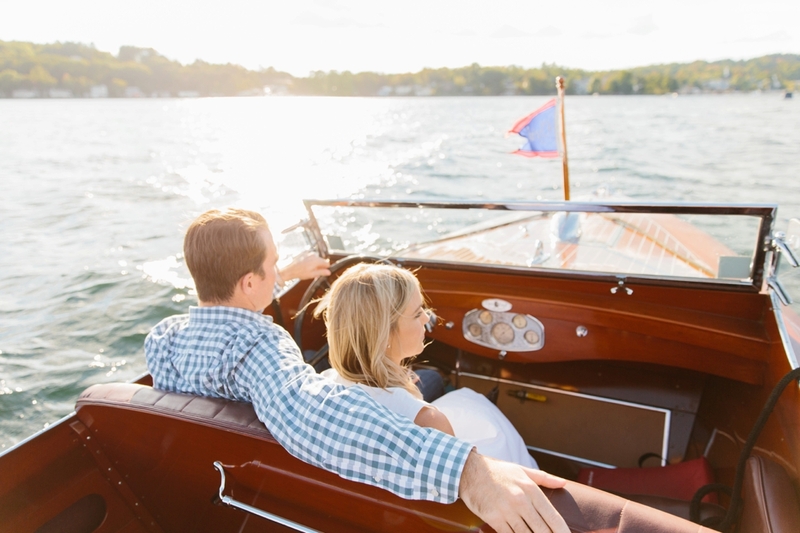 Chris and Jenna’s friend took us out for a spin on the beautiful antique boat the Miss Meredith, and we got to experience the lake from all angles! 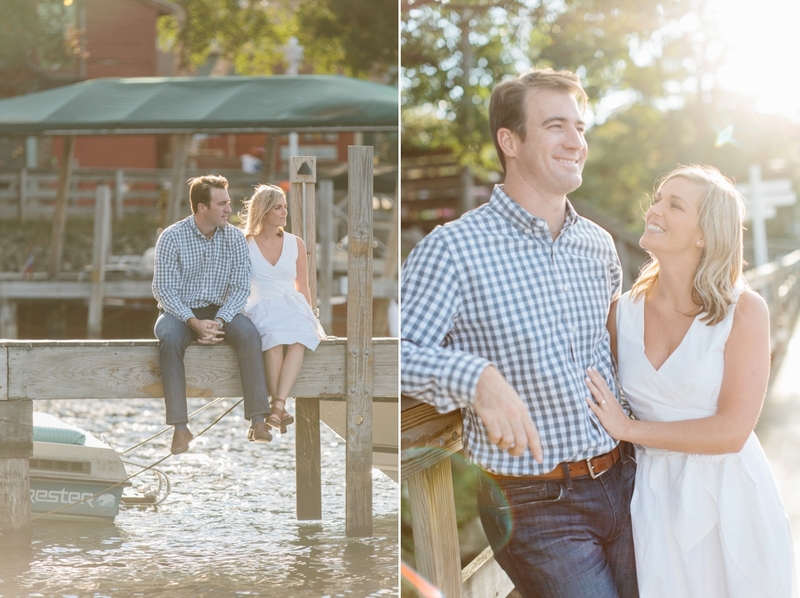 To top off the stunning afternoon, we went for a drive around the lake and took in a little stroll on the sand. 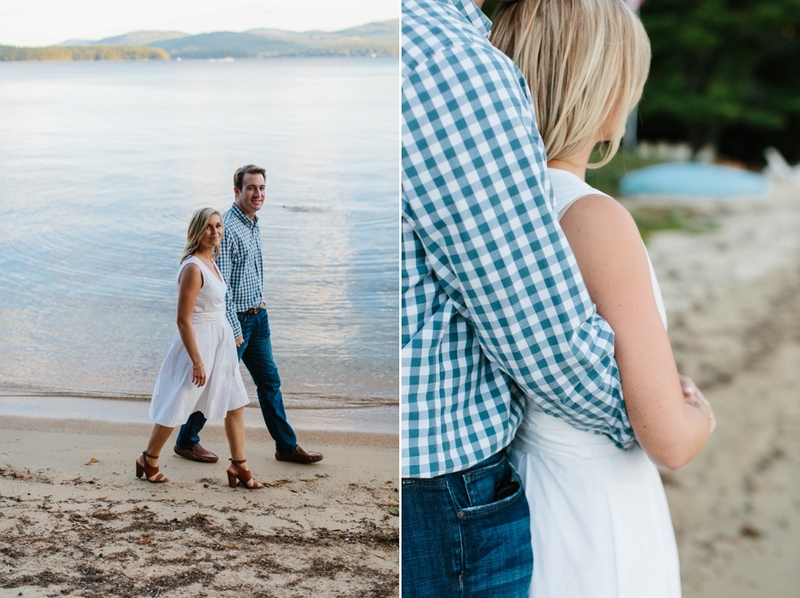 I loved getting to know these two in such a special place to them, and I can’t wait for their next adventure this summer when they tie the knot at Castle Hill!